Following on from our Mental Health Thinktank back in March, in partnership with Consult & Design and Campus North, we have selected speakers with different experience, expertise and perspective to talk candidly about mental health and wellbeing. Each has unique experience which they will share, providing tangible advice for those looking to monitor and improve their own wellbeing and to support those around them, particularly in the workplace. Lorna Evans from The Mind Movement is a Workplace Mental Wellbeing Consultant & Psychotherapist working with trailblazing companies in the UK. Lorna has over twenty years’ experience working in the Games, Tech and Creative industry as a Coach, Leader and Producer. Lorna’s work focuses on educating Senior Leaders and Directors about the impact of stress, burnout, anxiety, and depression so they can create strategy that will have a significant impact on their people. 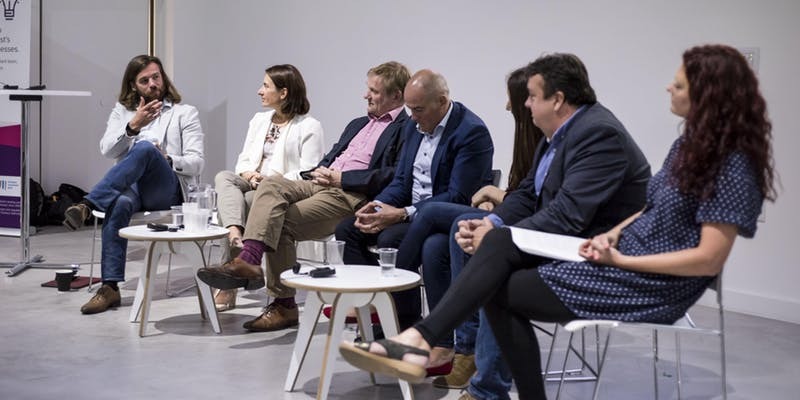 It is important to Lorna that Industry Leaders comes together to talk about the future of workplace mental health and what solutions and resources companies that want to keep top talent will need to provide, rather than just ticking a box. Jonny Ellis works in education and has a fascination with human behaviour and psychological, emotional and physical health. As well as running a male focus group, he is developing The Alpha Complex ‘Zone Tracker’ app that allows users to monitor their mental and emotional state. The app is due for release on the 1st November 2018. Jayne Hart, Director of The HR Dept Newcastle has been working as an HR professional since 2000. Jayne and her team support North East business owners to maximise their productivity and profitability through the effective management of their people, their key asset. Keeping owners legally compliant with regards to employment legislation and supporting them with their people problems. This will often mean supporting a proactive approach to managing employee wellbeing in addition to the often-challenging management of employees who are encountering poor mental health, ensuring legal compliance as well as the sensitivity required in what can be challenging situations for all concerned. Sarah Crimmens creates safe spaces for people to share things they don’t have the opportunity to in everyday life. She founded Men’s Healing Circles in response to an increasing number of male friends and colleagues approaching her because they had no one to talk to about how they’re feeling. Her personal healing process has been integral to the work she does helping others live the joyful & fulfilling life they deserve. Sarah co-produces Newcastle Start-up Week and runs her own social media community management business when she’s not healing humanity. Digital Debates are formatted to be an interactive event with audience participation expected, we really want this to be a true debate so please come prepared to get involved!